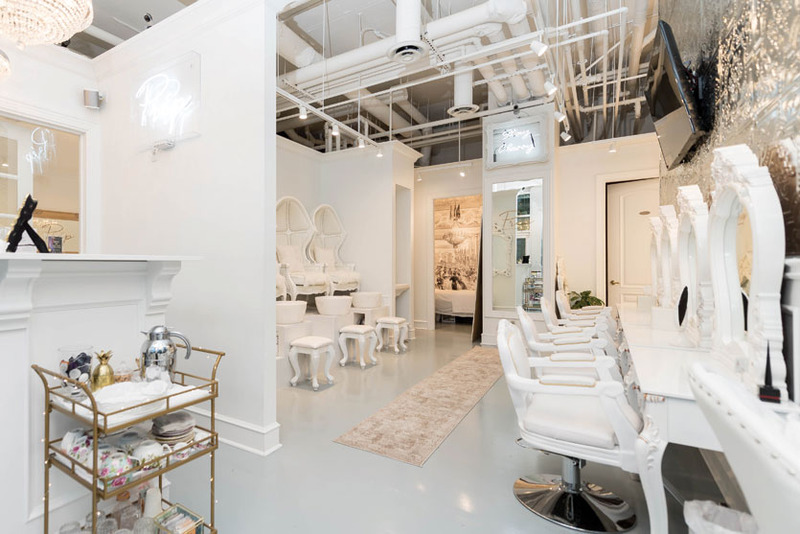 Owner Mika McInnes welcomes Nailpro to her chic Vancouver salon. 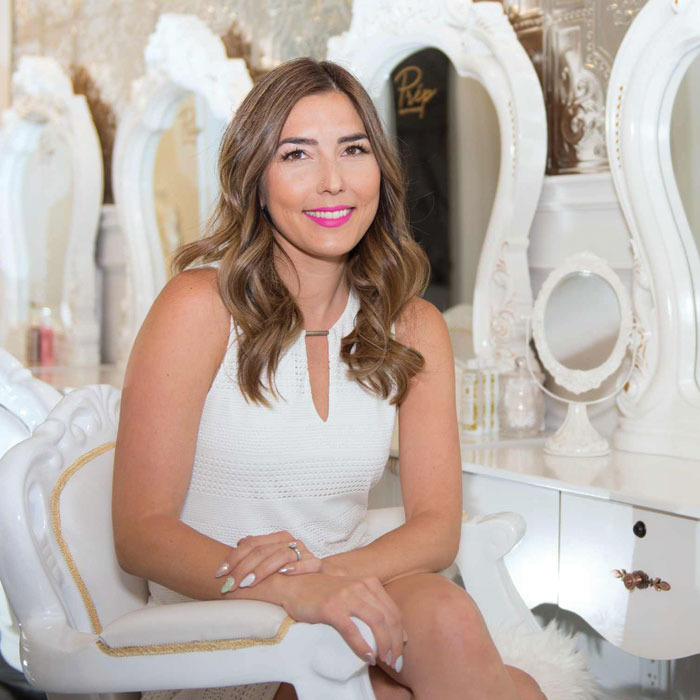 Here at Prép Beauty Parlour, we offer beauty services in a luxurious setting with affordable pricing. 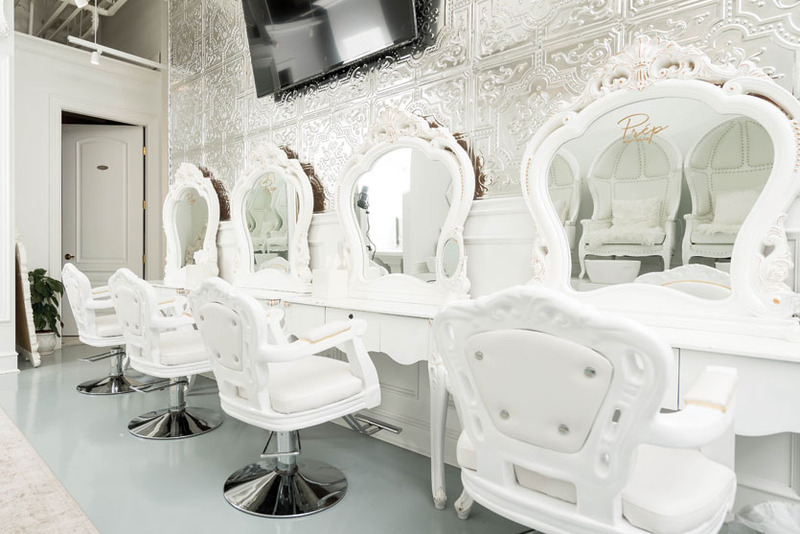 When clients step inside Prép Beauty Parlour, they experience an entirely different era. Our French Renaissance theme features lots of luxe aesthetics that our clients love. Being located on the beautiful West End in Downtown Vancouver, where frequent street parties are hosted, a lot of tourists see us through our windows and stop to snap a few selfies. Many of our clients spend their entire day here, often two to five hours, to experience a mani and pedi or lash services. Our gel manicure is one of our most popular nail services. At $45, the service includes cuticle care, nail prep, color and a much-needed therapy session with the nail tech. Many of our clients love nail art, ranging from simple sparkles to large gems or hand- painted cartoons. We use Akzéntz and Vetro for the majority of our nail services, as well as some Japanese brands for art. We like to use these products because they’re high quality, and that’s what we want for our clients. 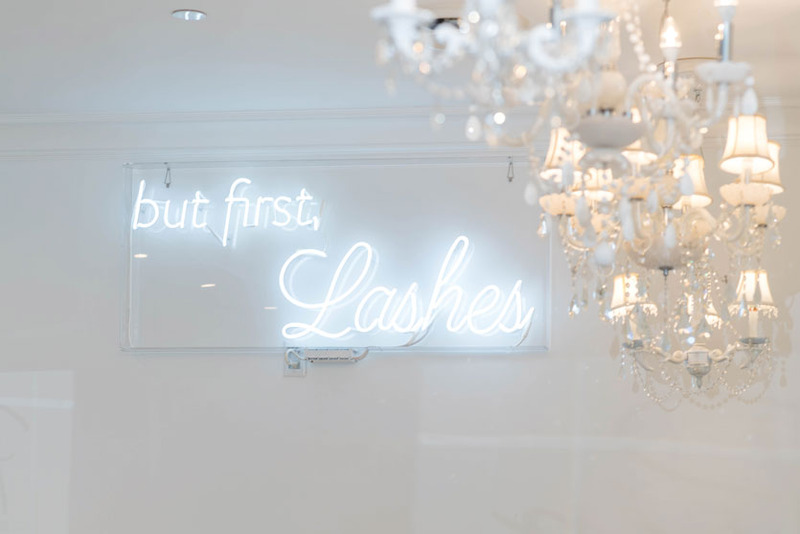 Our retail products include CND RescueRXx, CND SolarOil, Beauty Blender and MakeUp Eraser, as well as EyEnvy and lash extension aftercare products from Bella Lash. We use almost everything: Pinterest, Facebook, Twitter, Snapchat and, our favorite, Instagram. We love to show the world our talented techs and their nail art. Clients love browsing through our feed during their appointments to figure out what nail art they want to try next. We also use Instagram’s IGTV to showcase and share simple nail art. What was your first job in the beauty industry? 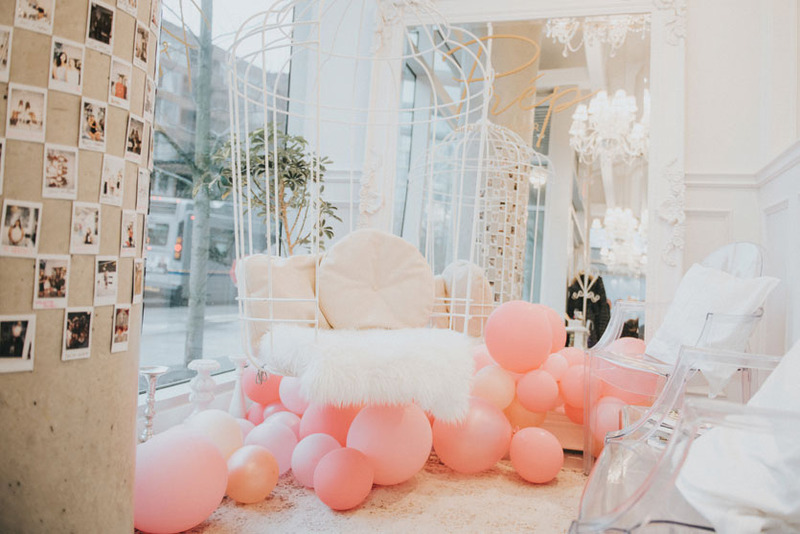 How has the salon changed since you first opened? What was your most recent impulse buy for your salon? Staff: A mix of 21 hourly and commission-based professionals. Visit them online and social: prepbeautyparlour.com, Instagram, Twitter and Facebook.